But all of that got boring pretty quickly. And because I was from the city, I didn’t really know anyone there. It was much more difficult to make friends, not because I’m from the city and they aren’t, but rather because I used to be a shy kid and I wasn’t really blessed with social skills. So, during the second week of the month, all I really did was to lie down and listen to songs on the radio. That and ride my cool aunt’s bike. At the time, all I was really concerned with was having fun. All I wanted to do was to go as fast as I can, as far as I can. I never thought so much joy could be found in such a simple machine, yet there I was, and here I am, reminiscing about events over 15 years ago. So, why bikes? Why not skateboards or scooters? Because learning to ride a bike more difficult than learning to ride the other two. There’s a period where training wheels are used. Some parents even encourage their children to learn early. The best balance bikes for toddlers are difficult to come by, but they do exist. And when they grow older, it’s just another phase that they have to go through again. 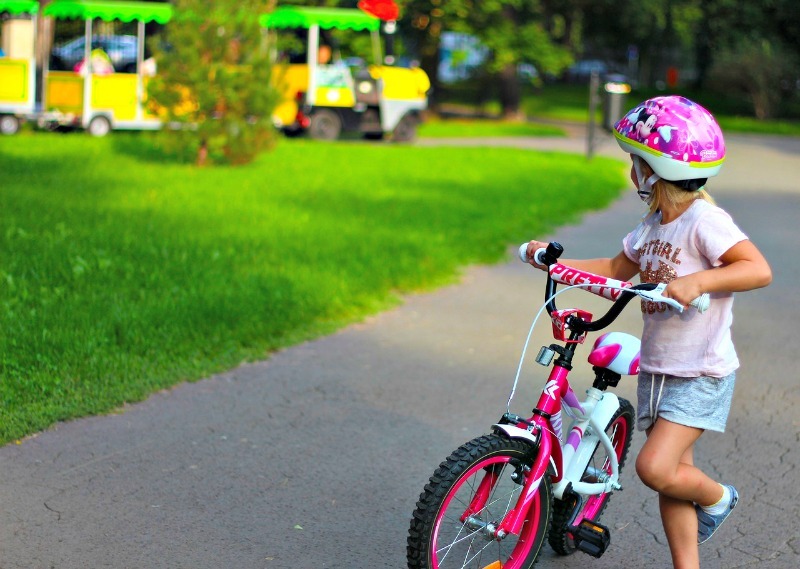 When the training wheels are taken away, it teaches kids a very important life lesson. To receive, you need to learn to give. There’s a balance between risk and reward. If you want to go faster, you need to take the training wheels off. Very few people are born brave. Many become so by virtue of training and discipline. And this is exactly what every parent wants — to raise their children in an environment that encourages free speech, honesty, self-confidence, and trust, not only in themselves but in the people they have with them. Falling is inevitable. I am speaking both metaphorically and literally. When our children fall in the pursuit of mastering the art of riding a bike, this presents a great opportunity to teach them a vital life lesson. Do they walk away, bitter and resentful? Or do they pick themselves up and try again? The lives of children are simple and so are their goals. No child worries about how he’s going to become a successful corporate lawyer or how he’s going to drive sales to his company, or how she’s going to become the next Maria Sharapova. Sometimes, they just want to learn how to ride a bike. And the moments that they fall are just as important as the moments that they get back up and try again. Because, like gravity, life will always try to pull you down. It’s in these moments that you find the courage to rise above these setbacks and you are able to truly become the captain of your ship, the master of your life. So, the next time your kid asks for a bike, get them one.